1 YRS Guangdong Shengda Technology Co., Ltd.
As the compound feed, the slippage between material layers can be avoided, with beauty and uniform stitches. 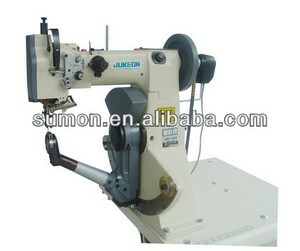 is one of the modern companies that specialized in manufacturing all kings of sewing machines. 2&#12289;Are you factory or trading company9 We are factory with foreign trading property. 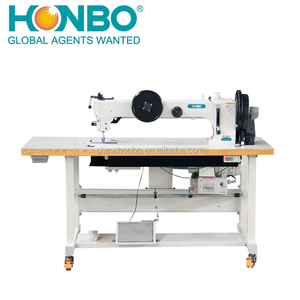 The HB-204-762 series is specially designed for difficult sewing operations. 3. 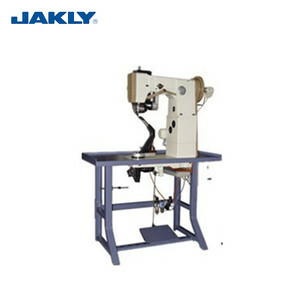 Unhibdered handling of large-area, bulky workpieces owing to the large clearance under the sewing head. 5. Protection of your sales area, ideas of design and all your private information. 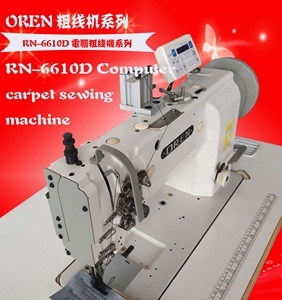 1 YRS Fujian New Source Jingdian Machinery Technology Co., Ltd.
1 YRS Guangzhou Oren Sewing Machine Co., Ltd. 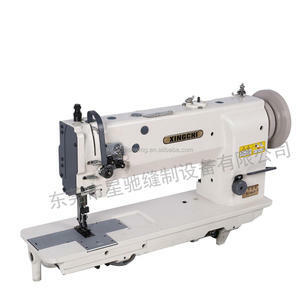 Banner Double thread lockstitch seated type shoe boarder stitching machine shoe sole sewing machine descriptions: 1 . 2. It is ensured that the hopper need not be changed within 3 years . 5. Variable speed motor without segment and stationary spin and exalted authenticating code. No thread ends at needle points. Double shaft positioning thus improving durability of the main shaft. large order will need more time. 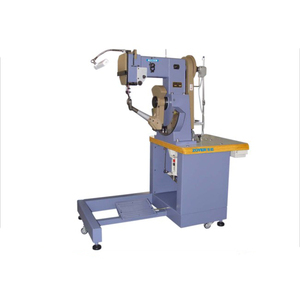 2 YRS Wenzhou Sogu Technology Co., Ltd.
5 YRS Xi'an Topeagle International Trade Ltd.
2 YRS Taizhou Dison Machinery Co., Ltd.
Power turn-off automatically and stop when trouble stitched for protecting the machine. Fixing automatically, presser is controlled by computer, the rotational speed can be select according to the operater,the max speed can be 1000circle/minute. Suitable for sneakers, casual shoes and other special materials. 7 YRS Jinhu County Minglv Industry & Trade Co., Ltd. Features: 1. 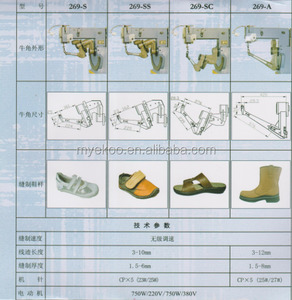 Suitable for sports shoes, casual shoes side seam edge processing. 2. All the parts adopt the original haas CNC machine tool processing, high precision parts. 3. Using electronic speed motor, speed can be flexible, the needle position is controlled by 4. The fuselage according to sole sewing makes to should adjust the Angle is different. 4 YRS Guangzhou Kang Fa Textile Co., Ltd.
6 YRS Hangzhou Shuangjia Thread Co., Ltd.
9 YRS Jiangsu Hongfeng Thread Technology Co., Ltd.
Free knots, No oil, No broken filament yarn, Even density , Good shape is the characteristic of our product. If you want a color yarn , you can send us a sample, we can according to you sample give you a counter sample. Our team have a long experience in textile, we cooperate with many famous clients around the world. 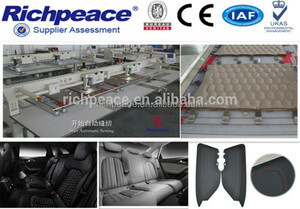 Alibaba.com offers 4,767 thread seat products. About 1% of these are cushion, 1% are living room sofas, and 1% are dining chairs. A wide variety of thread seat options are available to you, such as pvc, fabric, and genuine leather. You can also choose from living room sofa, dining chair, and office chair. As well as from sectional sofa, chesterfield sofa, and executive chair. And whether thread seat is modern, or antique. There are 4,767 thread seat suppliers, mainly located in Asia. 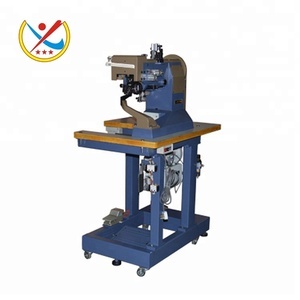 The top supplying country is China (Mainland), which supply 100% of thread seat respectively. Thread seat products are most popular in North America, Domestic Market, and Eastern Europe. You can ensure product safety by selecting from certified suppliers, including 2,471 with ISO9001, 916 with ISO14001, and 699 with Other certification.